Many personal problems, life experiences and traumas can lead to you feeling overwhelmed, depressed, anxious or unable to cope with life. Sometimes talking to friends and family does not help and you feel the need to work things through with someone unbiased. There is not always a person you feel you can confide in or share your most difficult, personal or intimate concerns and worries with. You might have attempted to talk to others about your problems but feel you are burdening them or they seem uncomfortable, not knowing how to help. You might fear you will be judged or misunderstood which can make it hard to open up but there is often a desperate need to talk through difficult experiences and to have your feelings heard and validated. Engaging in personal therapy can help you to deal with the emotional and psychological impact of traumatic losses, rejection, bereavements, betrayals, abuses, any life event that has been challenging and painful. If a past experience or something that has happened more recently is still negatively affecting you and your relationships with others it is worth trying psychological therapy. 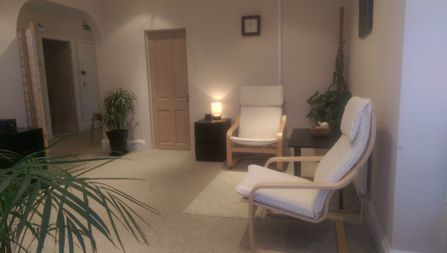 When you engage in therapy, the therapeutic relationship itself becomes a safe, containing space, there is a secure 'frame', which marks out the relationship as different, seperate, providing a clear boundary between the world of family, work and social relationships and the unfolding therapeutic relationship. This frame contains within it our interactions and provides a boundary between two different sorts of reality, that of the factual, rational world of yourself in society and your inner subjective experience of the external world. 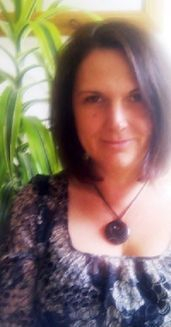 Whether this engagement is for short term counselling or longer term psychotherapy, my experience and awareness, enhanced with intuition and empathy, enables me to provide the safe, containing environment necessary for your psychological issues and emotional pain to be addressed and worked through. The therapeutic process helps you to move on from painful difficulties initiating self awareness and psychological change. This has a positive impact on your sense of self, esteem and well-being which helps you to lead a more fulfilled, healthier and happier life. Are you are experiencing relationship difficulties? Dealing with painful feelings of loss and grief due to bereavement or any other life changes? Where you emotionally, sexually or physically abused during your childhood and still struggling with the after effects? Are issues around your sexuality or sexual problems causing you concern or worry? Struggling with unmanageable feelings (anger, sadness, emptiness) which are difficult to understand? Do you suffer from low self esteem, lack confidence, have feelings of worthlessness or feel you are not good enough? Are you using alcohol, drugs or food in a detrimental way or harming yourself to cope with painful feelings? Are you feeling ill at ease at work, socially and/or in the family? Is life becoming unbearable because of depression, stress, anxiety or panic attacks? This allows you to come and meet with me, explore anything you need to, ask any questions, or just 'try out' a short counselling session. 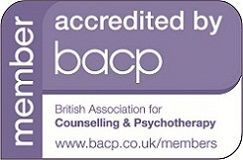 This is offered without obligation so you can see how you feel about beginning counselling/ working with me. © 2019 Therapeutic Counselling & Psychotherapy. All Rights Reserved.